The days of buying a dimebag from your friend’s apartment are over. Marketing and selling cannabis in Canada is rapidly changing under new legal frameworks, and Kwantlen Polytechnic University is committed to being engaged in the future of budtending. 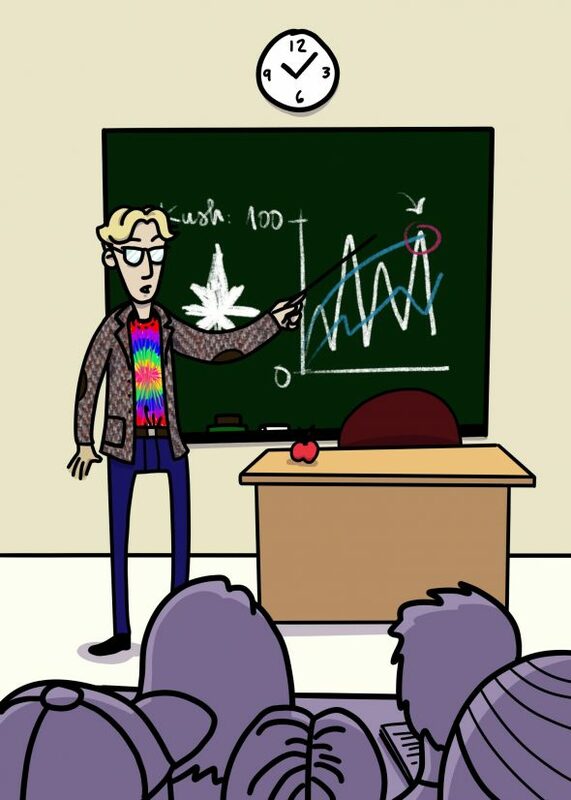 This spring, the university is developing a program to prepare future cannabis retail workers for selling cannabis responsibly and legally. Unlike KPU’s other cannabis-related programs, the new course will take place on campus as opposed to online. It’s formatted as a three-day, 24-hour workshop dedicated largely to group work. Students will be instructed to role-play various retail scenarios so as to learn how to respond in a professional manner to common situations in the industry. They will also learn about the history of cannabis prohibition and legalization in Canada, the fundamentals of the body’s endocannabinoid system, quality control, strain identification, product handling, and more. Heavy emphasis is put on understanding the intricacies of the legal framework behind selling cannabis in Canada. David Purcell, KPU’s director of emerging business, says that students in the program will not be trained on how to treat medical ailments with cannabis or to give medical or therapeutic advice. A pilot program will begin soon to identify any gaps or necessary changes in the curriculum. Purcell says that individuals taking part in the pilot course should have little to no previous experience with the cannabis industry so that the university can get a better sense of how well the program is preparing them. The fully-developed program will begin soon after that. The program will be continually updated as more provinces release their unique cannabis regulation and as established regulatory frameworks continue to develop and evolve. According to Purcell, the challenge in developing the Cannabis Consultant Certificate Program has been in understanding where the Canadian cannabis industry is headed during this transitional time. The current status quo for dispensaries operating in Vancouver, he says, will not resemble the future of cannabis retail. Development of the Cannabis Consultant Certificate Program involved a total of 96 hours of consultation with industry representatives and other stakeholders over the course of two full-weekend sessions. These consultations included input from the Canadian Association of Medical Dispensaries, the Alliance of Beverage Licensees of British Columbia, and the British Columbia Government Employees and Services Union, as well as other experts from the cannabis, technology, and private liquor retail industries. Purcell says that the diversity of the consultants that KPU worked with to create the pilot were key to understanding the cannabis industry as it is and will be.